"Allah has given me the opportunity to implement what I have dreamt of Pakistan", an apparently jubilant Khan said in his long-awaited victory speech on Thursday. "Pakistanis will be proud of this government" led by Khan. Khan, who has led a relentless anti-graft campaign, had the momentum heading into the election, and is seen as the military's top choice for prime minister despite his denials. A visibly exhausted Khan cut a conciliatory tone in a wide-ranging address to the nation following a controversial contest hit by accusations from major political parties of poll rigging and long delays in still unreleased official results. At a midnight press conference when the vote count was underway, PML-N president Shahbaz Sharif said the election was a "blatant violation" of the mandate of the people. Sharif's PML-N has condemned the legal cases against its members in order to force them to leave the party and the efforts to prevent the party from emerging victorious in the election as it had done in 2013 by getting an absolute majority. The Election Commission rejected the allegations as baseless, with secretary Babar Yaqoob telling reporters that parties had not provided any evidence to back up their claims. Similarly, ex-chief minister Haider Khan Hoti of ANP was having a lead against his rival PTI candidates in NA-21 constituency and a provincial assembly (Mardan) constituency. In third place was the Pakistan People's Party (PPP) of Bilawal Bhutto Zardari, 29, the son of former Prime Minister Benazir Bhutto, who was assassinated in 2007. It still wasn't clear whether Khan's Tehreek-e-Insaf (PTI) would get a simple majority or have to form a coalition. Electoral authorities turned down a request by several political groups to extend the voting deadline by one hour beyond the scheduled early evening close to accommodate the lines of voters. Quipping that Indian media had recently portrayed him like a "villain in a Bollywood movie", Khan's overtures to New Delhi included calls for better trade ties to reduce poverty and to sit down and discuss Kashmir, a disputed region that was the cause of two of the three wars between the neighbours. Musharraf has also said that Khan has never voiced any discontentment against India. The stock market shot up almost 2 percent in early trading on relief that Khan was expected to be able to form a stable coalition. "Khan as prime minister is unlikely to challenge the army's authority on policies including national security, defense, and relations with India, Afghanistan, and the U.S.", Shailesh Kumar, Asia director at Eurasia Group in NY, said in a report. 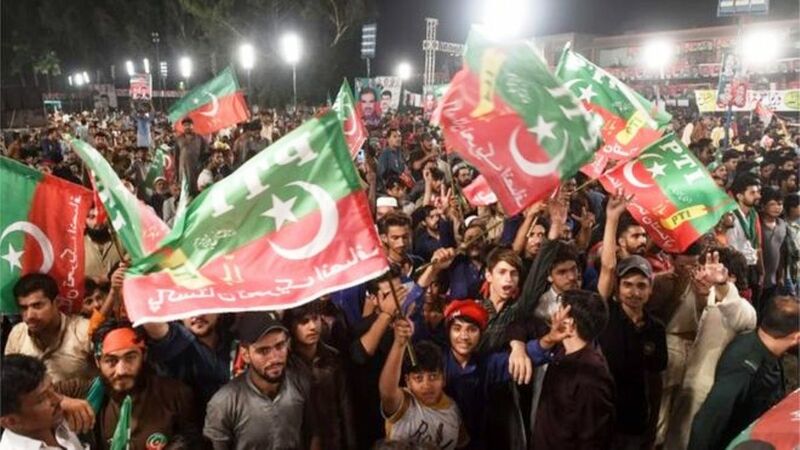 Khan is campaigning on populist promises to build a "New Pakistan", vowing to eradicate corruption, clean up the environment and construct an "Islamic welfare" state. "I will stay in a smaller house", Mr Khan said, writing off the sprawling mansion where the heads of state have been living since 1970s. "I came into politics because I wanted Pakistan to become the country that Jinnah had envisioned". Earlier this year, the company said it surpassed 100 million Prime members , but Amazon hasn't disclosed official numbers since. Amazon is hoping its deals, available only to Prime members, are a hit with customers as it's raising the price of the program.